I just took a peek at the weather forecast and it looks like next week may be our week here in Seattle. 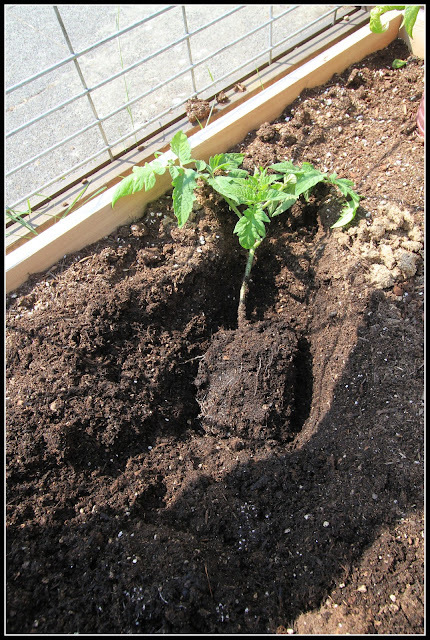 I'm going to go for it and transplant my tomatoes this weekend. Eek! 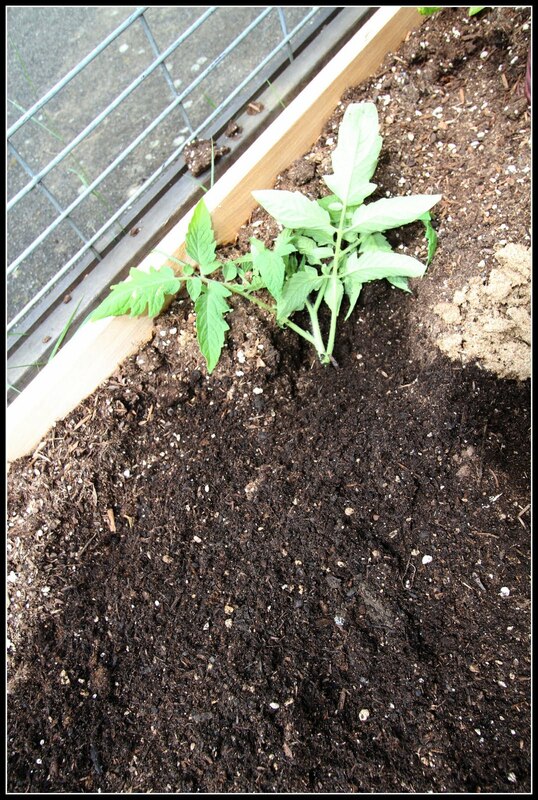 I saw my Grandma this weekend and she offered a wonderful tip on planting tomato starts. 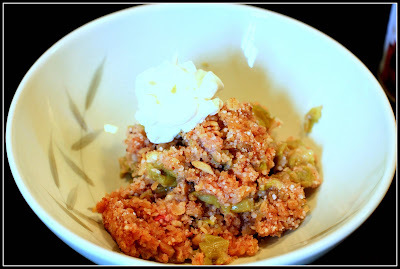 She also gave me some rhubarb crisp. Jealous? You should be. 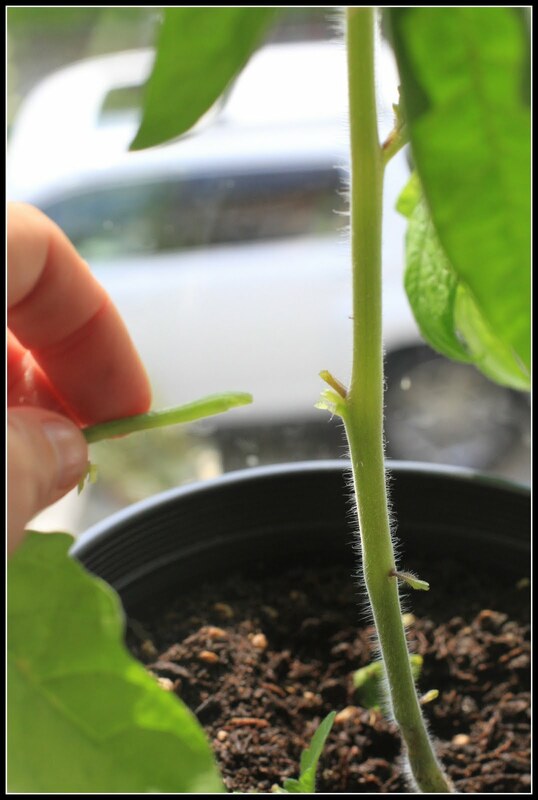 As you can see, roots will begin to grow from the buried tomato stem. 1. Pinch off the bottom stems of your plant. 2. Dig a trench that is 3/4 the length of your plant. 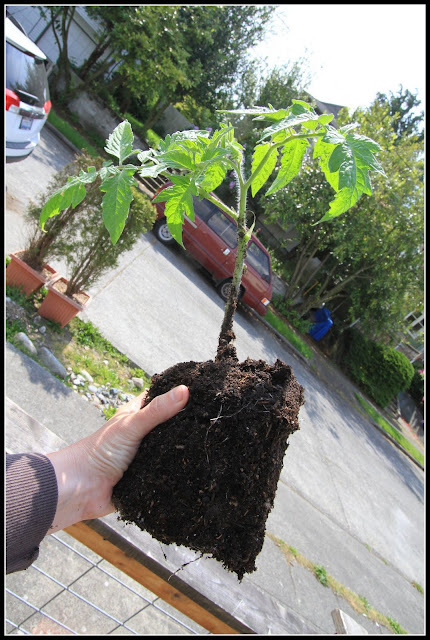 One side should be deeper than the other to accommodate the current root structure. 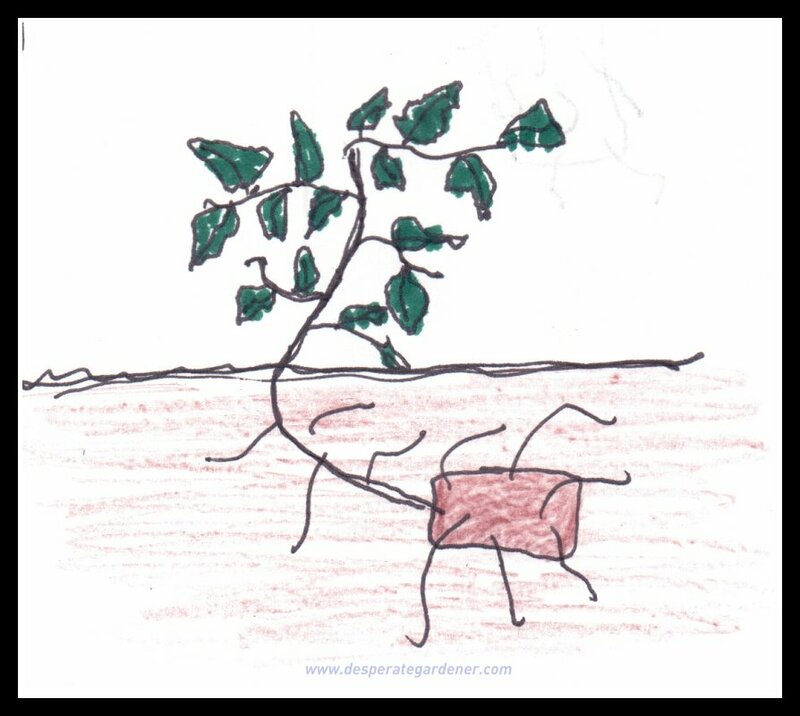 You want the root structure to be about 3-4 inches from the surface. 3. You can sprinkle some kelp meal into your trench to give the roots a little boost. You may have some leftover if you followed my tip from this post on creating your own Pacific Northwest organic fertilizer! 4. 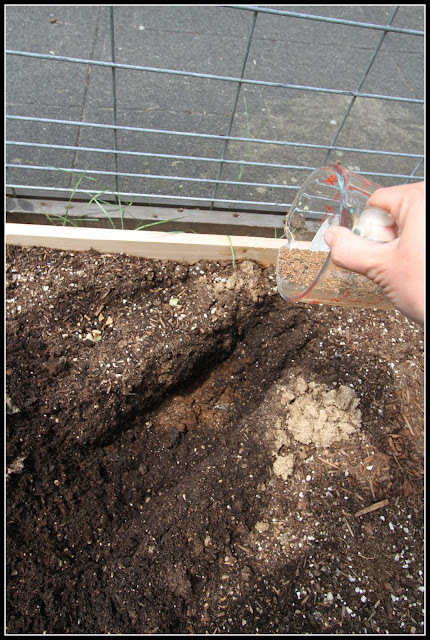 Add water to the trench if the soil is dry. 5. Remove your plant from its container very gently. 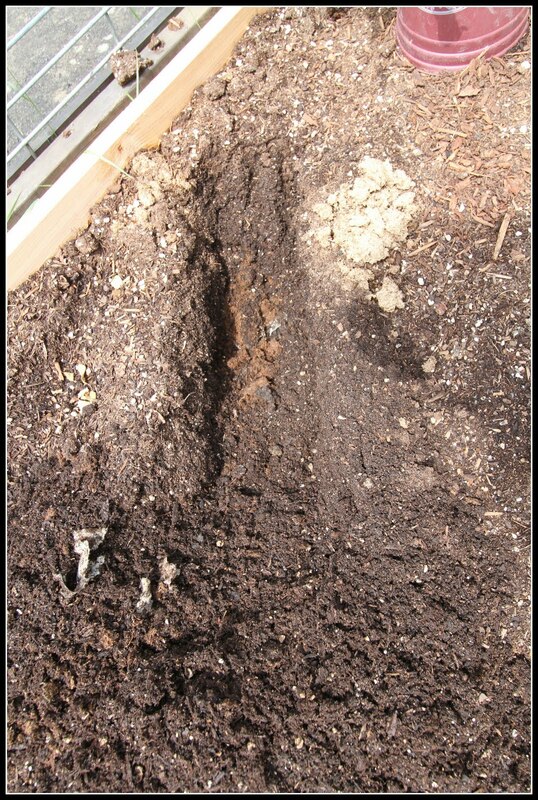 The soil that my start was in was very fluffy and light so I did not break up the base at all. 6. Place most of the plant into the trench, with the top quarter of the plant above the ground. 7. Fill in your trench with soil, add mulch to the top to keep the soil warm. 8. Do not worry that the top of your plant is lying on the ground, after a few days the plant will correct itself and grow up (see drawing above). This technique is ideal for those with "leggy" tomato starts or in shorter growing seasons. If you have a longer growing season this may not be necessary for you as your plant has had enough time in the garden to establish a strong root system. I will share pictures of this plant as it switches directions and grows up, I just have to figure out how to keep it warm until next week. Maybe a wool blanket?